I'm a sucker for a good puzzle game with simple mechanics that offer lots of depth. I'm also a sucker for games that involve mixing colours. 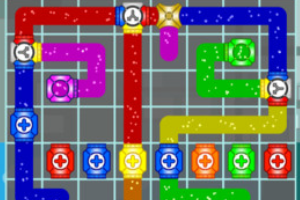 So, naturally, I really like this puzzle game of mixing colours.